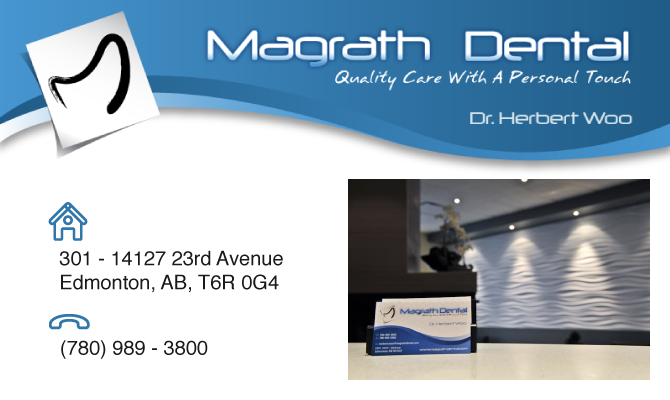 Welcome to Magrath Dental! We are located in Southwest Edmonton at The Market at Magrath above Shopper’s Drug Mart and next to Save On Foods. Magrath Dental is a brand new dental office that features a friendly staff, convenient hours and digital imaging and charting. It is owned and operated by Dr. Herbert Woo. We have a friendly and professional staff ready to make your visit to the dentist a pleasant one.